Syberia 2 • View topic - Post your setup! Board index ‹ ENGLISH ‹ EN - General ‹ Post your setup! Well - more gadgets. 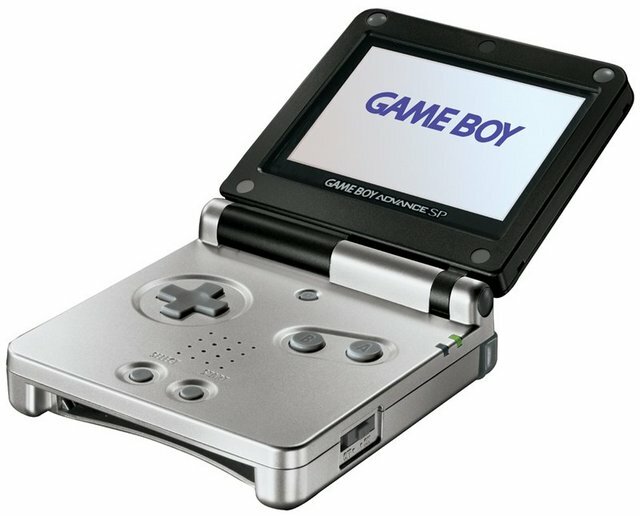 I got GBA SP just a week ago. Now I don't need to waste my time for reading a good book on my way to work since I can just play stupid video games! So far I've tried Puzzle Fighter II (an excellent choise for people who like Tetris and Tetris Attack (TA has nothing to do w Tetris, but the name was changed for US markets), Metroid Fusion (interesting platformer, action adventure but maybe a bit too hard for my skills), Super Mario Advance (This game contains actually two games - the original Super Mario and Super Mario Bros. 2. SMB2 is a tuned version that has a lots of minor upgrades and new fancy stuff incl one new end level boss. For SMB2 fans this is a must have!). The last one is Golden Sun - a traditional JRPG, which is a very good and enjoyable adventure with decent puzzles. Sorry - I'm lazy so I just stole the picture. Ante, how far is your work from home? I've got my father's old ipaq (because he's got a new one) and it uses a bit more power than when my father had it..
mmm, great time killer for long travels! speaking of portables i managed to get doom rpg onto my mobile phone. what fun it is! i like gameloft games for cell phones. all the most pop pc games are 'ported' to your mobile.